UK’s Lloyds Banking Group plc (LON:LLOY) on Monday said it would sell its retail banking activities in Spain to local lender Banco de Sabadell SA (MCE:SAB) in a cash and stock transaction, as part of plans to rationalise international presence. Under the agreement, Lloyds will sell to Sabadell its Spanish retail and private banking business and the local investment management business, including Lloyds Bank International SAU and Lloyds Investment Espana SGIIC SAU, in exchange for 53.7m Sabadell shares, or 1.8%, valued at €84m ($110m) and a further up to €20m in cash, the vendor said. The assets involved in the divestment were worth some £1.52bn ($2.4bn/€1.8bn) as of 31 March 2013, comprising customer lending, while customer deposits were around £670m. 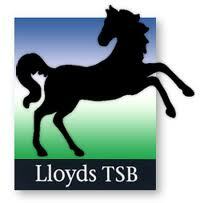 Lloyds said it would use any cash from the sale for general corporate purposes.